I am happy to announce a new short Monotrail album, available for free! In 2017 I released a tape with Gent based label Oggy Records. Before settling on a selection of Live Jams there where plans to make a split-release with another artist. We would both fill one side of the tape with a continuous track of up to 25 minutes, but that plan was never released. Non the less I finished a lot of ideas and recordings. Now I put the last things together and decided to make the track available for free as a digital release on Bandcamp. 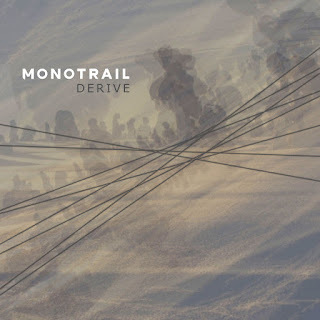 As for most of my music, the short album “Derive” is made by jamming on a modular synthesizer, supported with some drums and small synths on the side. It takes the listener on a journey along several genres. It can be downloaded for free (just click “Buy now’ and set your price to 0,-) from my Bandcamp page.